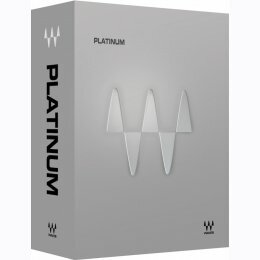 Platinum is an extraordinary collection of signal processing tools. From dynamics, equalization, and reverb to pitch correction, spatial imaging, and beyond, Platinum is ideal for tracking, mixing, mastering, and sound design. Now including MaxxVolume, Waves Tune LT, L3 Ultramaximizer™, L3-LL Ultramaximizer, and IR-L Convolution Reverb, as well as all the plug-ins found in our Gold, Masters, and Renaissance Maxx bundles, Platinum is a powerful production arsenal for any studio.